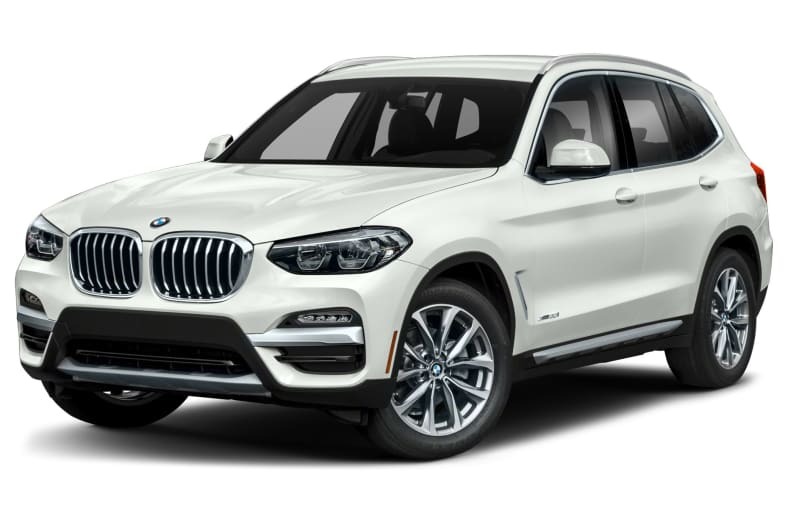 The BMW X3 is a versatile Sports Activity Vehicle (SAV), blending all-road capability and utility with athletic car-like performance and handling. The X3 is available in three trim levels: the rear-wheel drive sDrive30i and all-wheel drive xDrive30i and M40i. The sDrive30i/xDrive30i are powered by a 248-hp 2.0-liter four-cylinder turbocharged engine, while the M40i gets a 355-hp 3.0-liter turbocharged inline six-cylinder. Both engines are paired to an eight-speed automatic transmission with Steptronic manual shift mode. Standard equipment on the sDrive30i/xDrive30i includes 18-inch alloy wheels with run-flat tires, LED fog lights, dual-zone automatic climate control, leatherette upholstery, rear camera, auto-dimming interior and exterior mirrors and a power liftgate. The M40i is further equipped with 19-inch wheels and performance run-flat tires, M Sport suspension, brakes and exhaust, panoramic sunroof, adaptive LED headlights with high-beam assist, rear parking sensors and M Sport Package. Additional standard safety-related features on both trims include an alarm system, BMW Assist eCall and Active Protection. For 2019, a rear-wheel drive model is once again available.